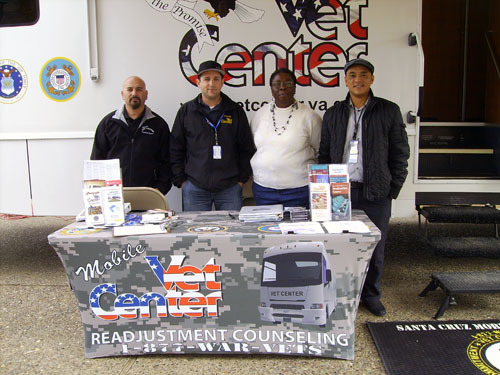 The Mobile Vet Center (MVC) is based out of the Santa Cruz Vet Center and visits the Gavilan Campus monthly during each semester. 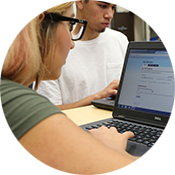 The MVC provides a broad range of counseling, outreach and referral services, to help veterans and their families successfully make post-war readjustments to civilian life. 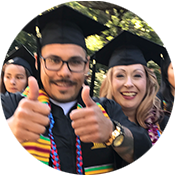 Linked directly to the Palo Alto Veterans Affairs Office, students can avoid travel and meet many of their needs right here on campus. MVC Staff are 65% Combat Veterans. The privacy of all veterans is held in the strictest of confidence. There is no cost, ever, for these services. No appointments necessary, stop by anytime to receive services.